And just in time for EV2014VÉ Conference and Trade Show! 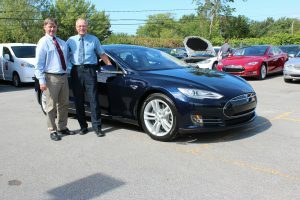 Two EV leaders from Nova Scotia, EMC Board Member David Swan and David Stevenson will drive their EV from Halifax to Vancouver from October 15 to 26. Follow them on their blog and on Twitter via #EVCoast2Coast!